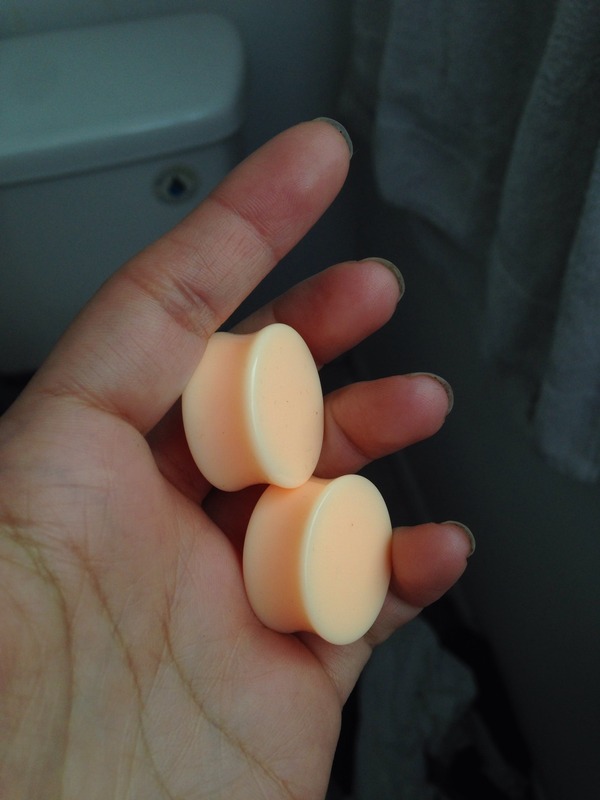 These double flare hider plugs are made from flesh colored acrylic. They have a wearable area of 3/8" between flares. Choose your size below. Plugs did not match earlobes which completely defeats the purpose of buying them on top of that thereare no refunds or exchanges. Not happy at all. Sorry you were disappointed in the product. These come in just one color and I hope most people will realize that it will be a better match for some than others. Our silicone hider plugs are definitely superior to these plastic ones, but these are still great from a standpoint of being really cheap. All of our jewelry is shipped in clear heat sealed bags that let you inspect the size shape and color. The jewelry is always returnable, no questions asked as long as you don't break the seal on those bags. Very bright color. exactly how it is in the photo. These plugs met all of my expectations and for the price, this is just a steal!